I really enjoyed these specials! Who is fan of the series, surely will like them, too. 1 - The first episode is about how the first opening of the anime has been made. 3 - The third one occurs at Tomoeda school and it is about Yamazaki and his lies... in my opinion, this one is the most funny of the specials. These were very short, fun, and cute specials! Definitely watch them after finishing the main series, these short episodes made me feel less withdrawal-y right after finishing the series. I thought it was really cute and funny how they put a mock copyright in the beginning of the first episode and signed it under Tomoyo's name (because apparently Tomoyo was the one who produced CCS from recording Sakura every single day). 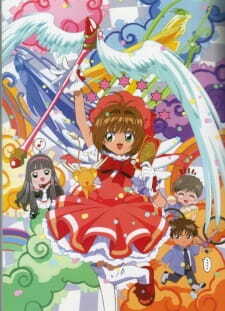 I guess this is a must-watch for fans of CCS, please watch it!